60 psi at the street and lke a 1/4 pound psi at appliance..
each house is separate and there are regulators and safety valves and sensors up stream that messure gas flow ... makes no sence how multiple houses can go up unless the gas is traveling in conduits finding other paths. Theft of gas services with no checkvalves. If its a massive release you could see people dropping over in the streets and spontaneous human combustion. One thing to look at would be unusual clouds above the cities. The methane tends to condense clouds because water vapor is less soluble. Also strange noises like pipe organs or feedback guitars might be noticed. What could cause it. A change in pressure like from a quake or heat going down into the earth. 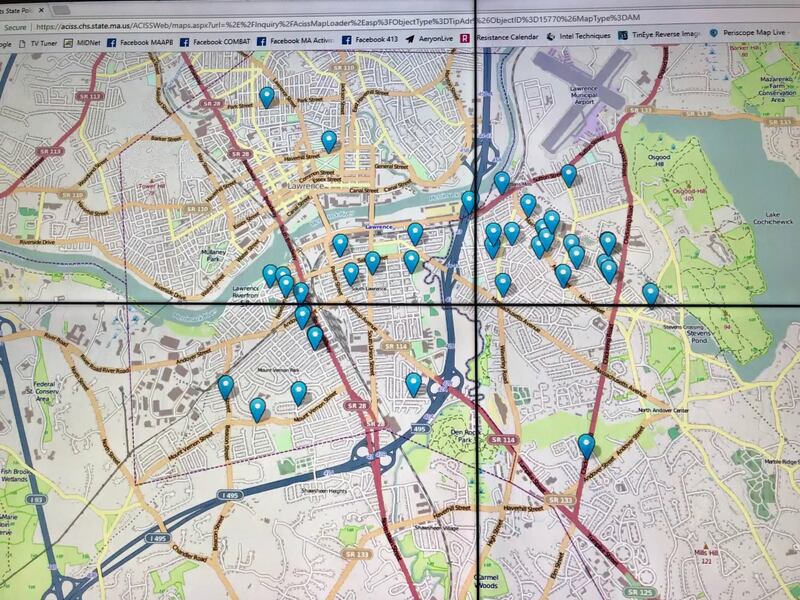 The investigation determined that from 2008 to 2012, Bankert, a formerly licensed electrician, tampered with 10 gas meters at six laundromats he owned in Attleboro, Brockton, Lawrence and Worcester for the purpose of stealing natural gas. No way to know what's going on with the older lines and connections with all the renovations going on these days. Over pressured? There's an individual pressure reducer at each point of entrance. could be some explosive chemical was dumped in lift station mebbe terrorism. Updated plotting of confirmed fires and explosions by MSP Watch Center. 39 locations confirmed thus far. Number will grow. New responses ongoing. 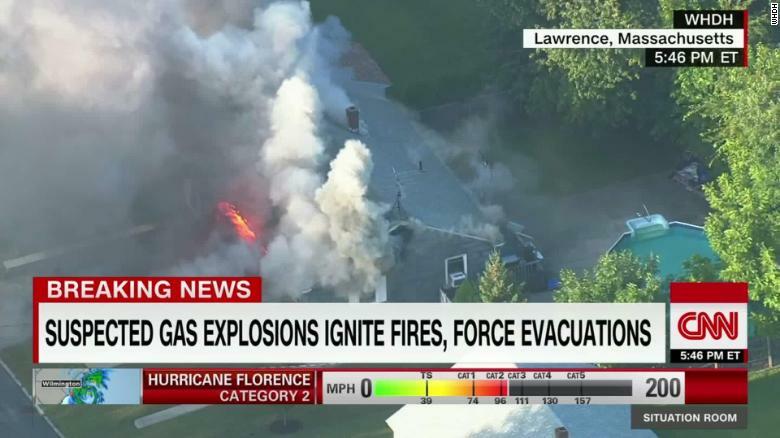 Reminder: all residents of Lawrence/Andover/N Andover who have Columbia Gas must evacuate, as should anyone else who smells gas. This is the excuse given in my little river city where illegal stuff has been going on for years. They don't like to get permits or complete permits and there are dark rumors of bribery. They built too much so they could bring in the gentry, and the system is beyond its carrying capacity. It's the elephant in the room. It always comes down to greed, whether rich or poor. There's always an excuse. "It's too old, it's new," etc. Or they find something that insurers accept or try to set that precedent or they change insurers. Did Columbia gas get hacked? i think theyre doing a line replacement project in the area . may be related to that ? Seems this is a long time thing. They use plastic now. No more black pipe. could you imagine the repercussions if all gas companies were hacked and the pressure was turned up everywhere.